The British artist Damien Hirst has bobbed up in the surf of Perth’s Cottesloe Beach in Western Australia, wearing water-filled goggles and a snorkel. 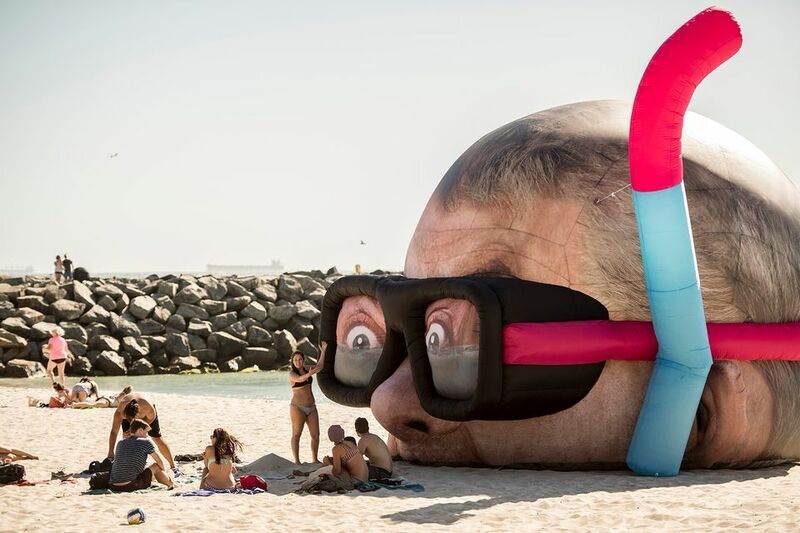 The huge inflatable sculpture, Damien Hirst Looking for Sharks, is by an artist duo calling themselves Danger Dave and Christian Rager and is on view until 19 March in Sculpture by the Sea, Cottesloe—the West Coast sister event to the long-running exhibition in Bondi, New South Wales. The work refers to Hirst’s 1991 breakout installation, The Physical Impossibility of Death in the Mind of Someone Living, in which the artist first exercised his nascent marketing genius by suspending a shark in a tank of formaldehyde and declaring it to be art. With Cottesloe named as one of the top locations for unprovoked shark attacks in Australia, it’s just the place for Hirst to come when he feels like reprising his best-known creation.